New Pathways Counseling is located at 1110 Oak Cluster Drive, Suite 4, Sevierville, TN 37862. 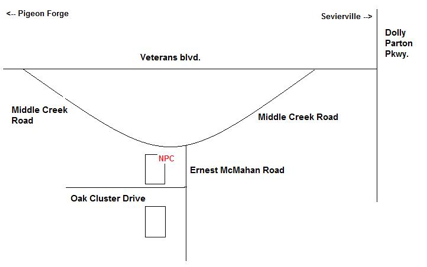 From Veterans Boulevard in Sevierville, turn onto Middle Creek Road. Turn onto Ernest McMahan Road. Go up the hill, and at the bottom of the hill you will see Oak Cluster Center on your right. New Pathways Counseling is located in the back corner of the first building on your right. You will probably feel like you are coming into the back door of the office, but it is the only door into or out of the office.